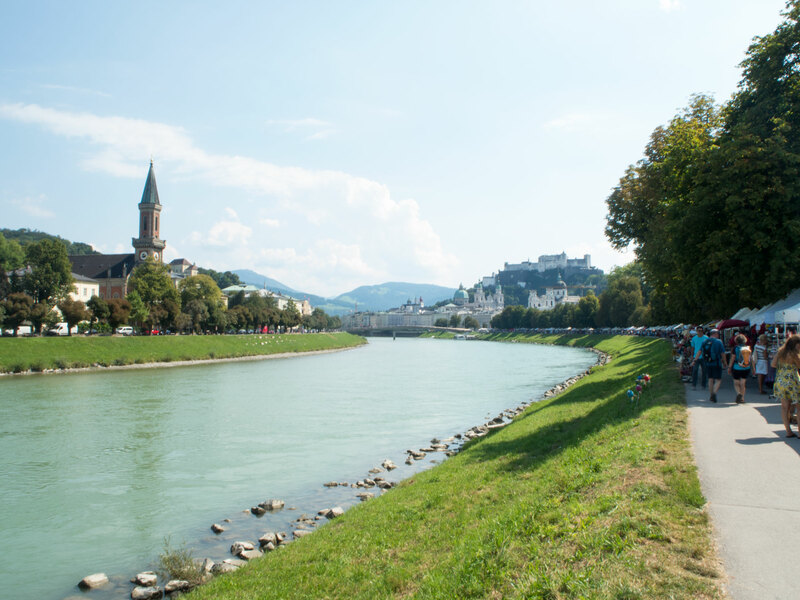 The trip was my birthday present to my mum for her 60th, as a lifelong fan of The Sound of Music film, naturally when thinking of where to take her, Salzburg popped into my mind. 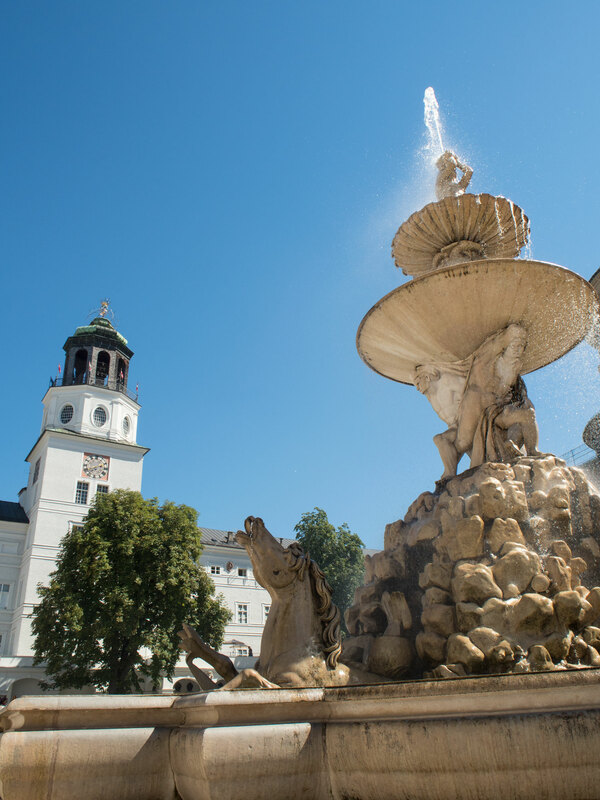 Once I had found the perfect hotel, flights and booked it up, we were off to Salzburg for four days, unbeknownst to my mum until a month before her birthday. I was going to leave it until a couple of days before her birthday to tell her but decided in the end that I’d give her a month to look forward to it and make a few plans. I guess you could say that’s one of the reasons for my ultra-holiday-planning love! Rather than do a separate photo diary and city guide post, I thought I would combine the two an do a brief overview of both in the one post. 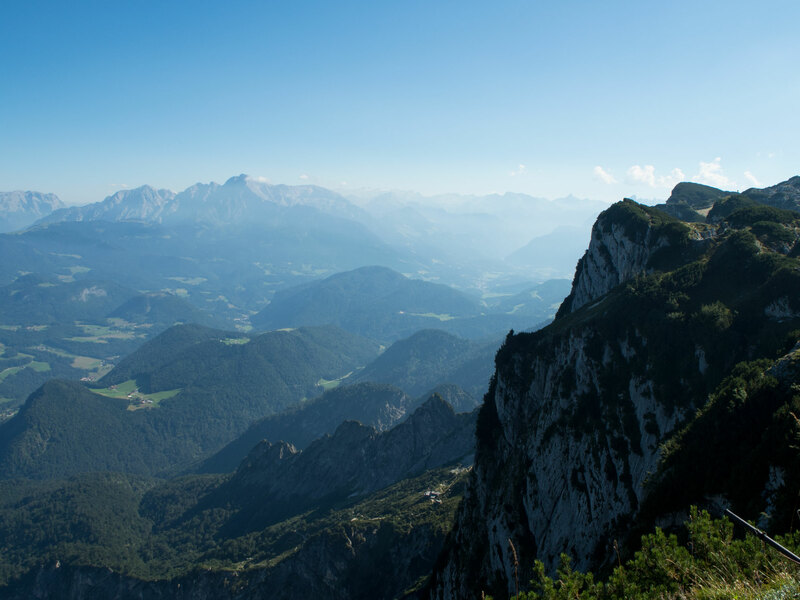 So settle yourself in for a very picture-heavy post of what we got up to in this beautiful Austrian town. When searching for a place to stay I scoured all of the options on websites like Last Minute and Expedia etc, but none of them were quite ticking the boxes. 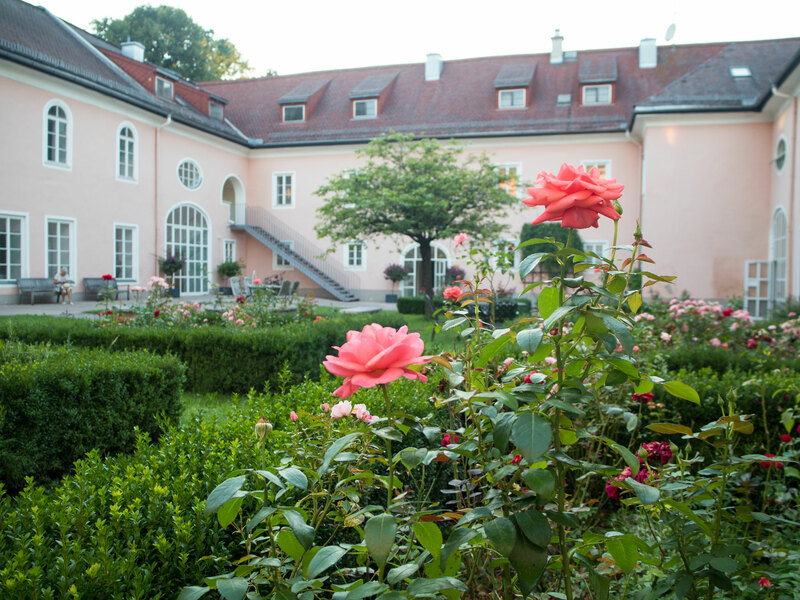 But then I searched for the best places to stay in Salzburg and this gem popped up, Schloss Leopoldskron. 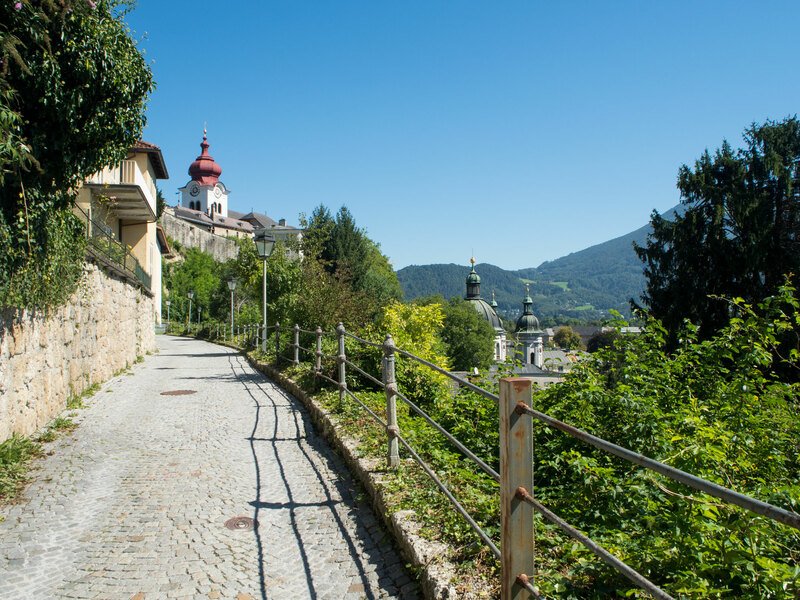 When I read further I found out that it was actually used as a filming location for The Sound of Music. SOLD! Booked before my brain could quite think about it. (Albeit not paid for, which did end up costing me an extra £100 after Brexit. Mental note – always pay for accommodation there and then or you might get screwed with exchange rates changing). 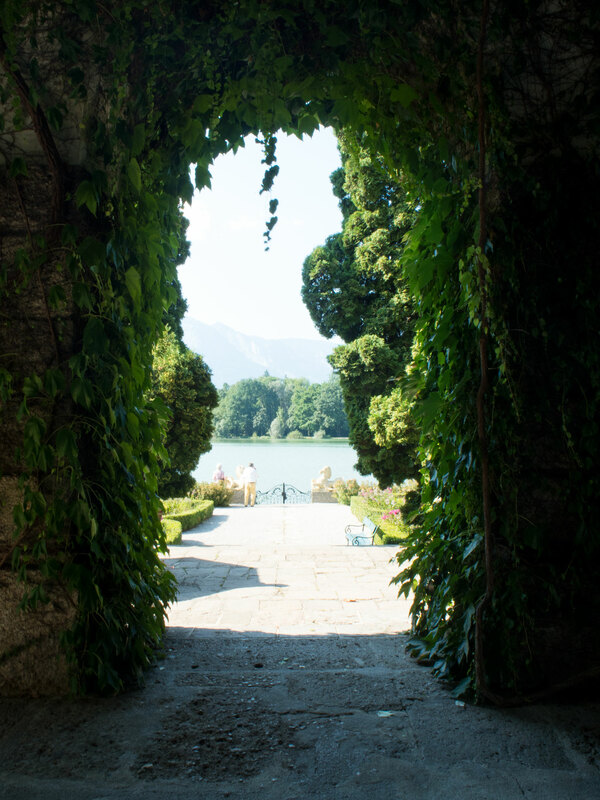 This place honestly is so dreamy and perfect, I would highly recommend it, especially if you’re a Sound of Music fan! The filming that took place here mainly is centred around these little gates by the lake. If you know the film then you may recognise them from the scene where they all fall from the boat into the lake. 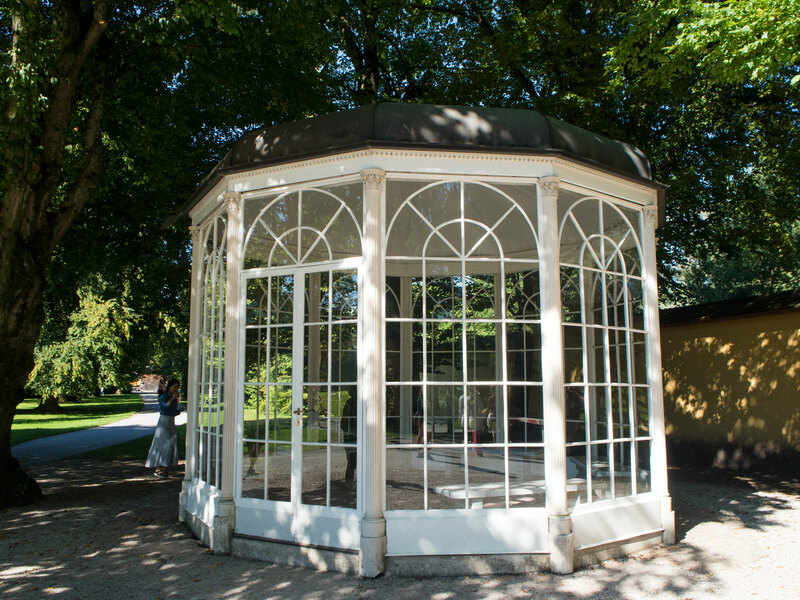 Also, the conservatory that the ‘I Am Sixteen Going On Seventeen’ number was filmed in used to be in the grounds of the palace, but due to trespassers trying to get to it after the film was released, they moved it to the more accessible Hellbrunn Palace. 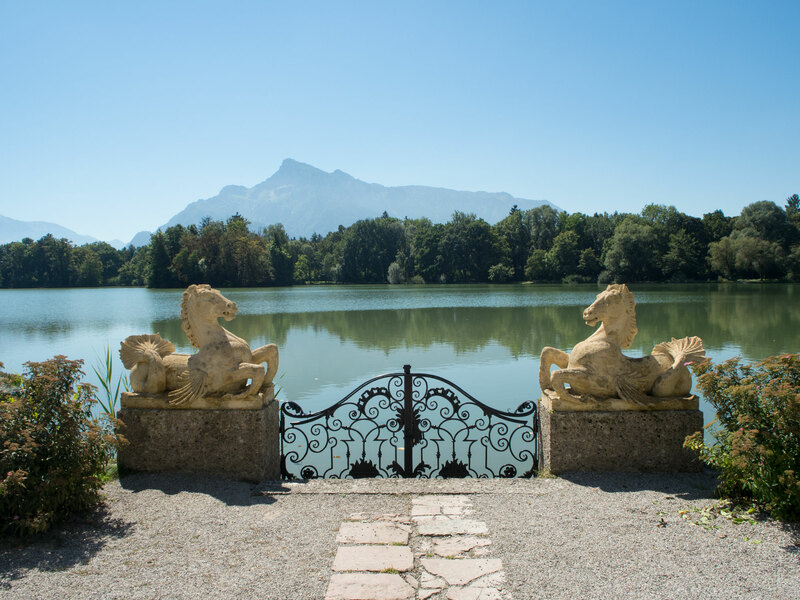 As a guest here, you are given exclusive access to wander the grounds and palace at your leisure, the tours for the Sound of Music are only able to view these gates and grounds from the other side of the lake. 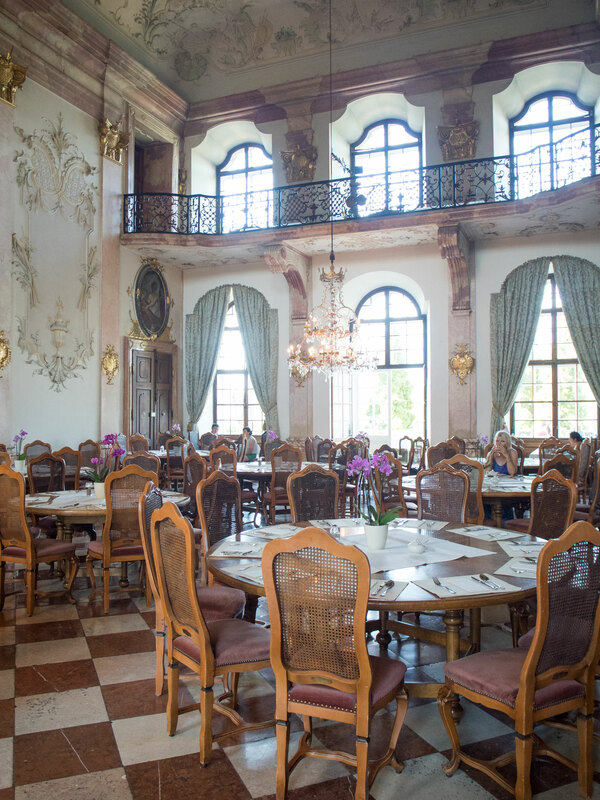 The main palace is home to 12 luxury suites you can book to stay in, as well as a number of rooms that you can explore. One of my favourites of these was the library. 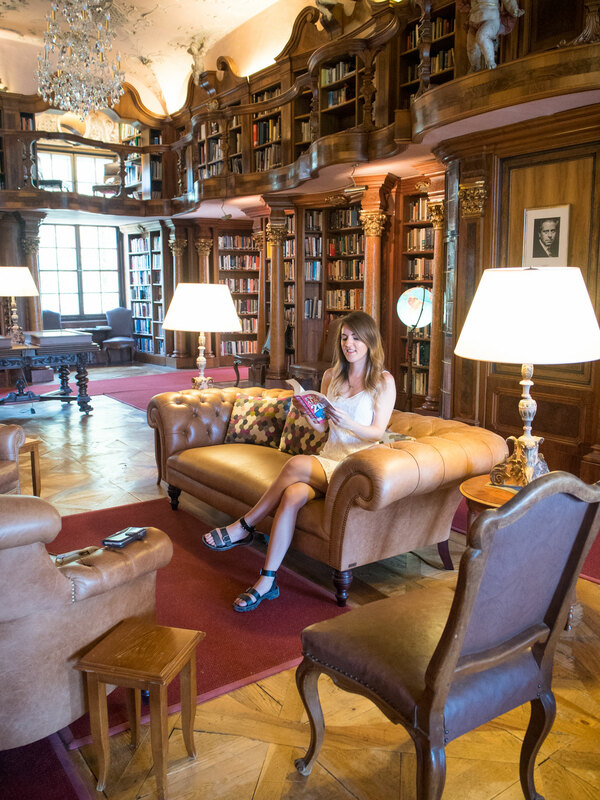 I’m not going to lie, I did sit there and browse a book or two pretending this was my own private library, can you blame me? 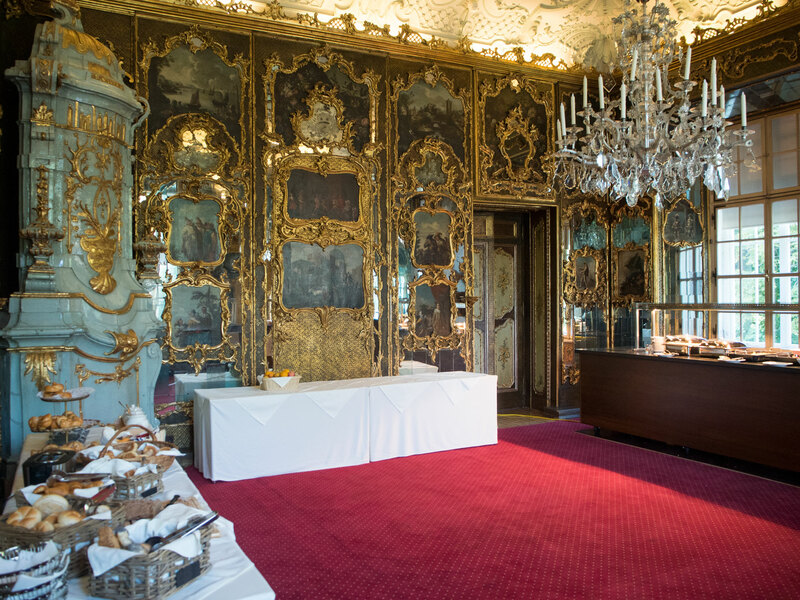 Breakfast is included for all guests and is served in the beautiful ballrooms of the palace. I honestly have never had breakfast in such an amazing setting. There was also an outside balcony over-looking the lake for breakfast, but with only 4 tables available out there we unfortunately didn’t make it in time to nab a table out there any of the three mornings. But trust me when I say how incredible the views are from out there. 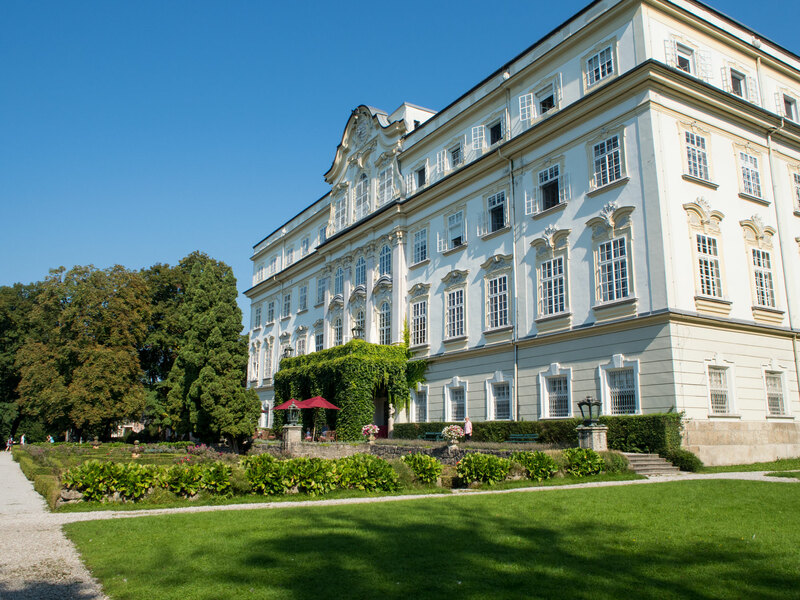 The majority of the accommodation is in the adjoining building, the Meierhof. Renovated in 2014 (I think), there are around 50 guest rooms in this former administration building. On my budget I went for a room here as they looked great but still meant you were a guest of the Schloss and all its benefits. Unfortunately I don’t have any pictures of the bedroom but there are plenty on their website for you to peruse. 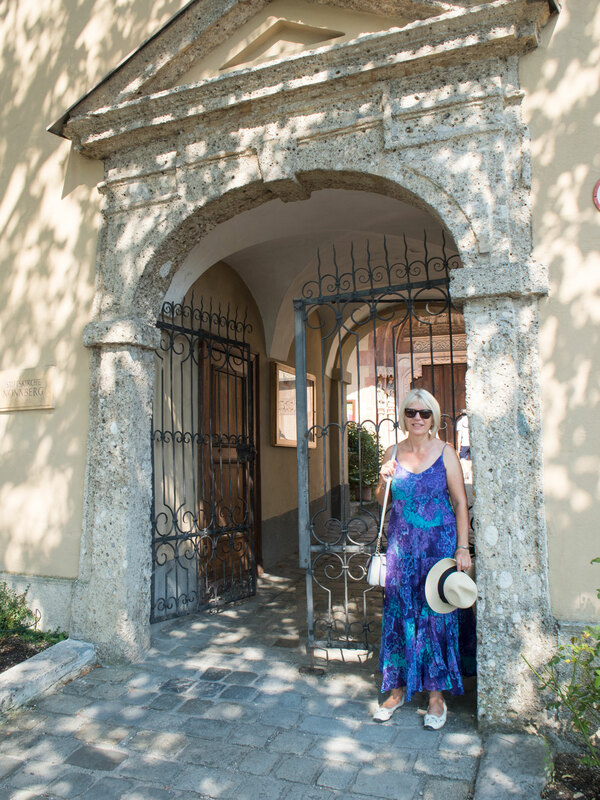 I can without a doubt say that this was one of the loveliest places I have ever stayed in terms of setting, facilities, service and atmosphere. 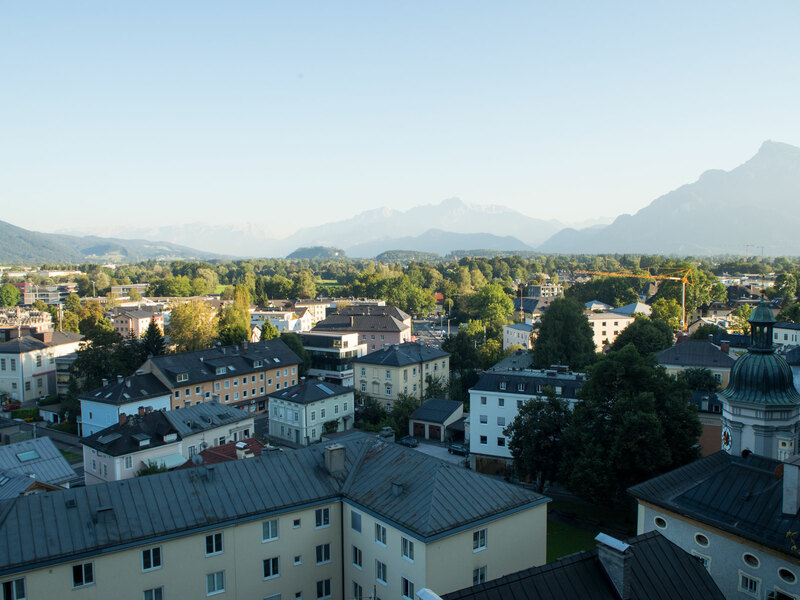 I would definitely recommend checking it out if you’re heading to Salzburg and want a luxury stay. You can find out more on their website here. Whilst we were there we had glorious weather, with every day being complete sunshine and 30 degrees and up, something I wasn’t quite expecting. The perfect weather for sunbathing by a pool, not so much for sightseeing and hitting the streets everyday, but we gave it our best shot. We walked as much as we physically could, and did as much sightseeing as we could fit in. And let me tell you, I was completely pooped by the end of it, but it was well worth it! 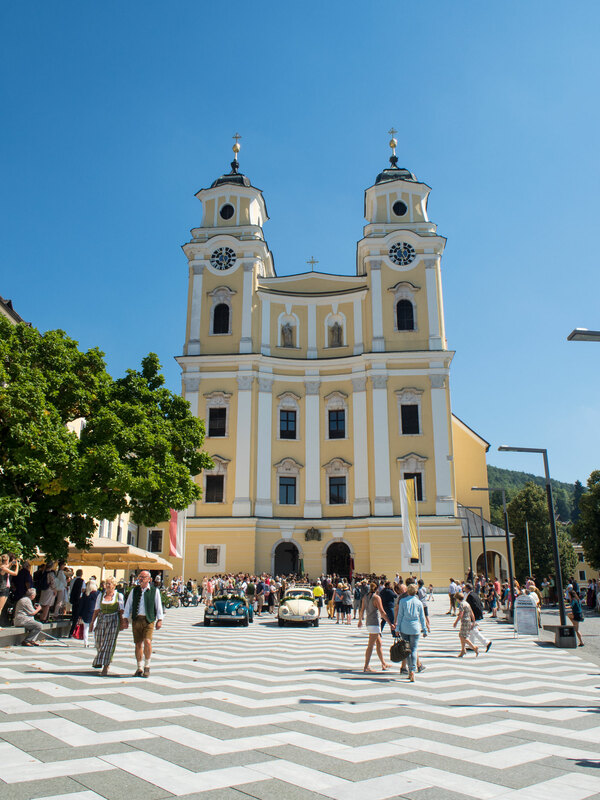 Obviously we had to get to all the Sound of Music sights for my mum, so we’ll start off with the convent that Maria leaves, and the place where the children go to ask to speak to her. As much as I tried to convince mum to give her best Von Trapp children impression, she wouldn’t. So instead I just snapped her standing by the gate. You can go into the nunnery and look inside the church, it’s free to enter and I heard a guide say around 5-5.30pm on certain days you can sometimes even hear the nuns singing, so keep an ear out for that! We also journeyed up the funicular to Fortress Hohensalzburg. I didn’t take too many photos inside, but I did take several photos of my delicious ice cream sundae. 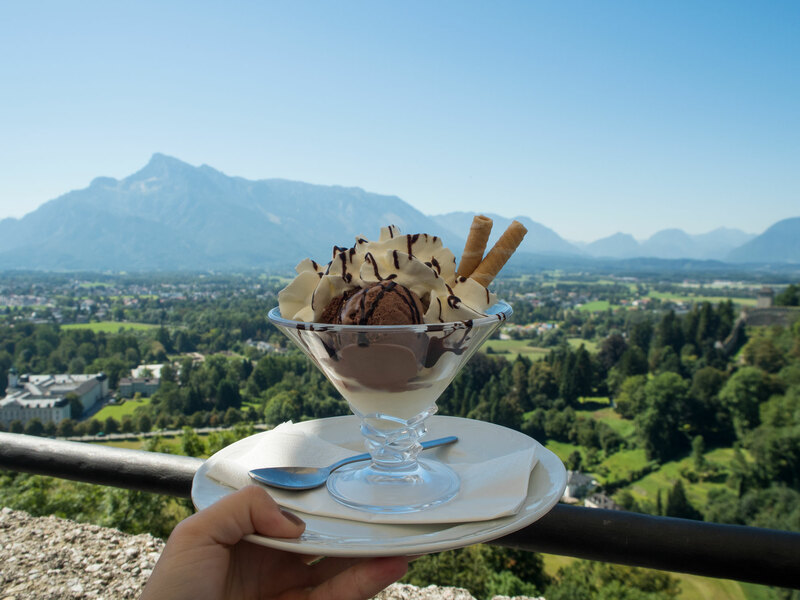 Now that is a dessert with a view. 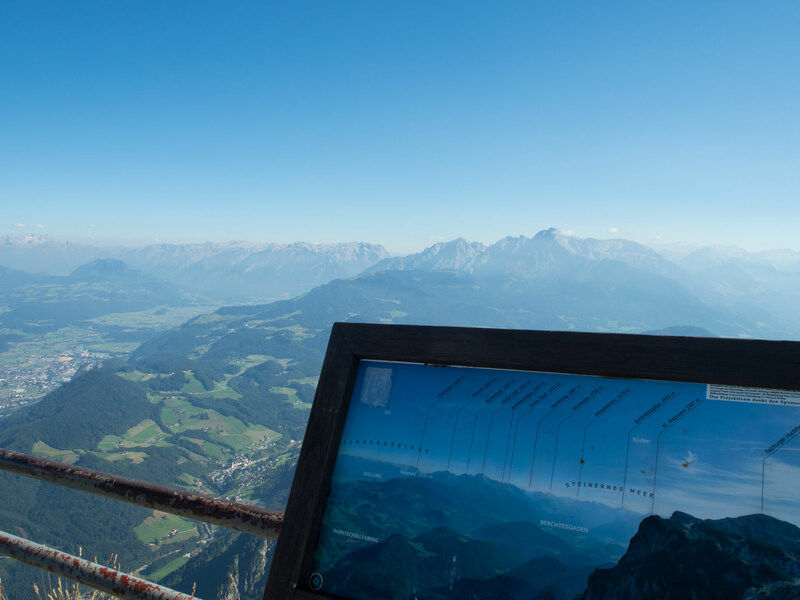 One of the best things we did was to buy the Salzburg Card for entry into the majority of the popular attractions and access to the public transport. You can get it for either 1, 2 or 3 days I think and is really well priced for all the things it includes. Using it we went to the fortress, used the buses, visited Mozart’s residence, went to Salzburg Zoo and up the Untersberg mountain. If you think you’ll want to be visiting a lot then its definitely worth pricing up. 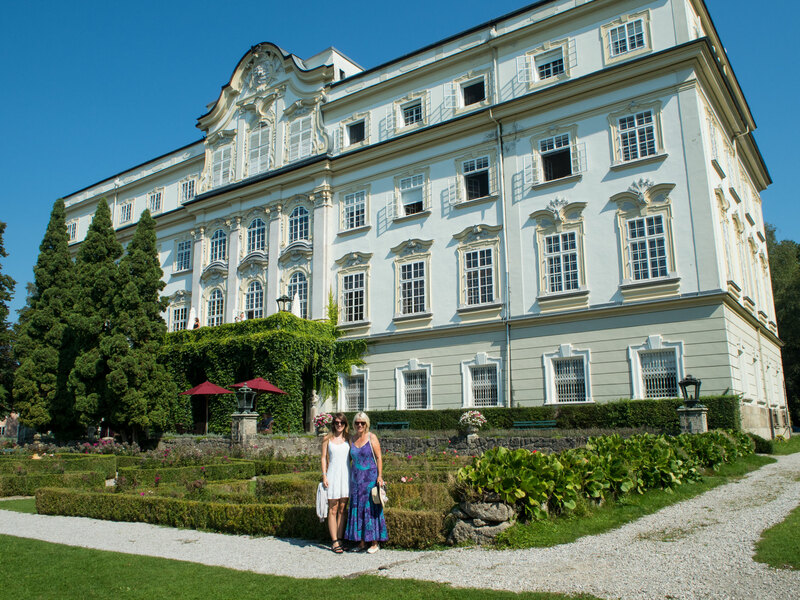 I also wanted to make sure we saw all the Sound of Music filming spots so I booked us onto a 4 hour tour with Panorama Tours who were named on Trip Advisor as the best tour provider. Whilst we didn’t get to stop at all of the places, it did enable us to find out where all the photo ops were so we could go back to them afterwards. 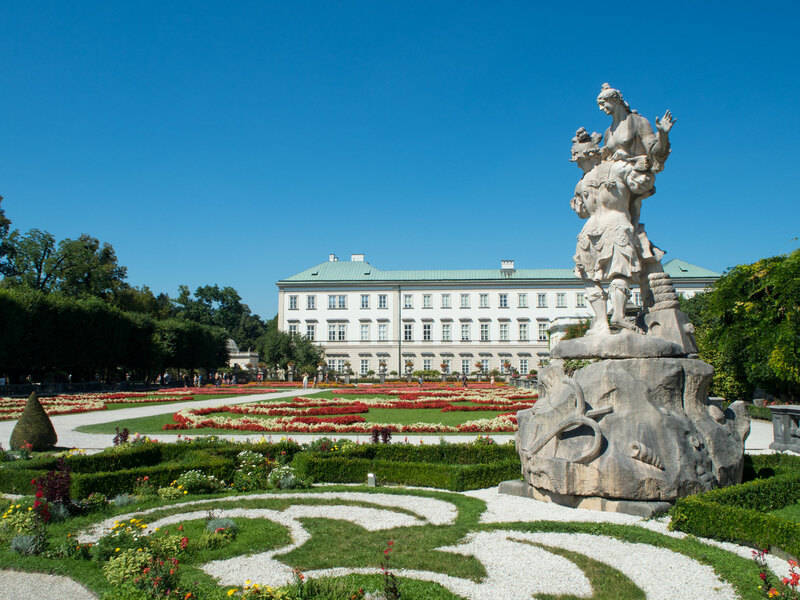 Even if you’re not a fan of the film, Mirabell Gardens is absolutely beautiful and ideal for spending a morning or afternoon. It was a tad too hot while we were there so snapping photos in the heat of the sun had to be a quick dash. There are plenty of spots to hide in the shade and just people watch though. If we had more time I would love to spend several hours here just relaxing and whiling the day away, bliss! On the tour one of the places we did actually stop at was a town outside of Salzburg named Mondsee, home to the church that Maria and the Captain are married in. You can go in the church for free, and if you’re lucky, witness a wedding in progress. I did think this was a bit bizarre, all us tourists wandering into the back of the church while a couple declared their love for one another, but hey they must be fine with it! 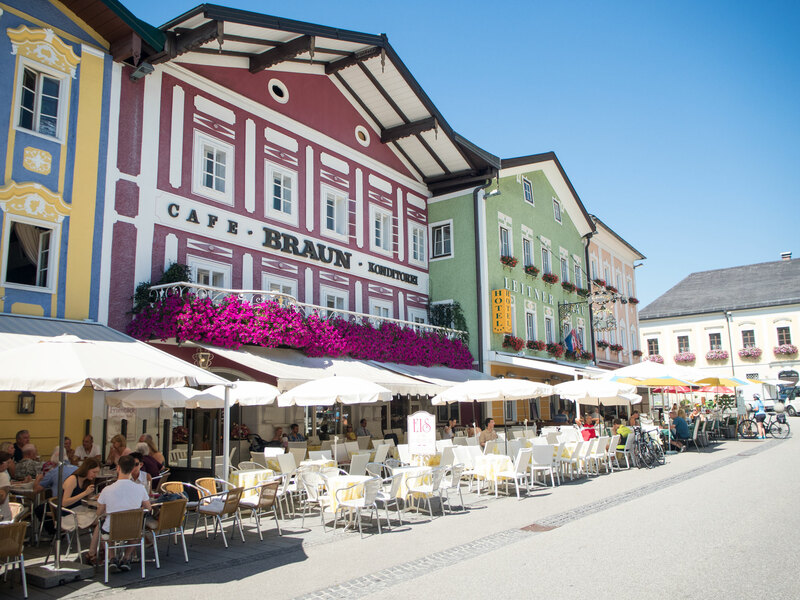 If you don’t head out on the Sound of Music tour and have access to a car, Mondsee would be a lovely way to spend the afternoon so look it up if you’re in the area. Now, there aren’t many pictures of this because I was absolutely bloomin’ terrified. 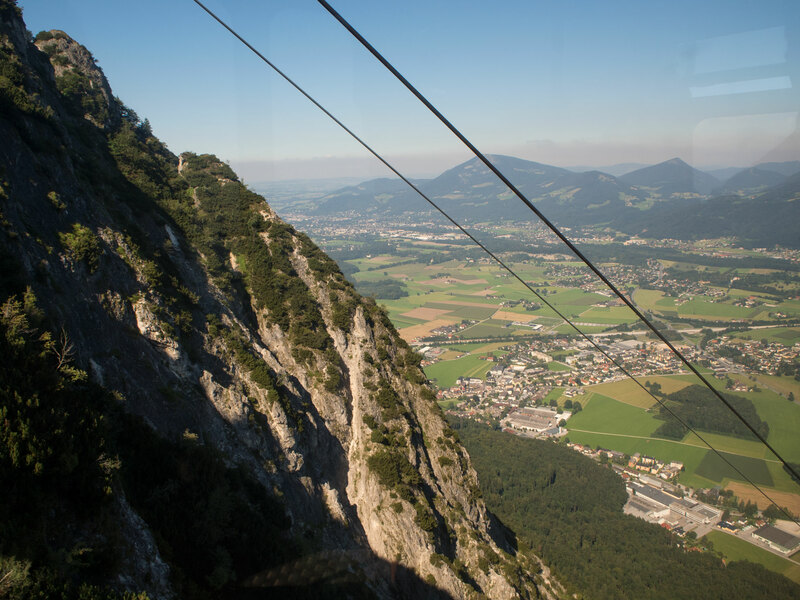 Despite that, I would 100% recommend jumping in the cable car to the top of the Untersberg mountain. It may have been the steepest and highest cable car I’ve ever seen, but the views of the area are unparalleled. And safe to say, it was just as hot, if not hotter, up there. You can reach the mountain by getting on the number 25 bus out of the city. Just don’t look down when you’re in the cable car if you’re scared of heights. 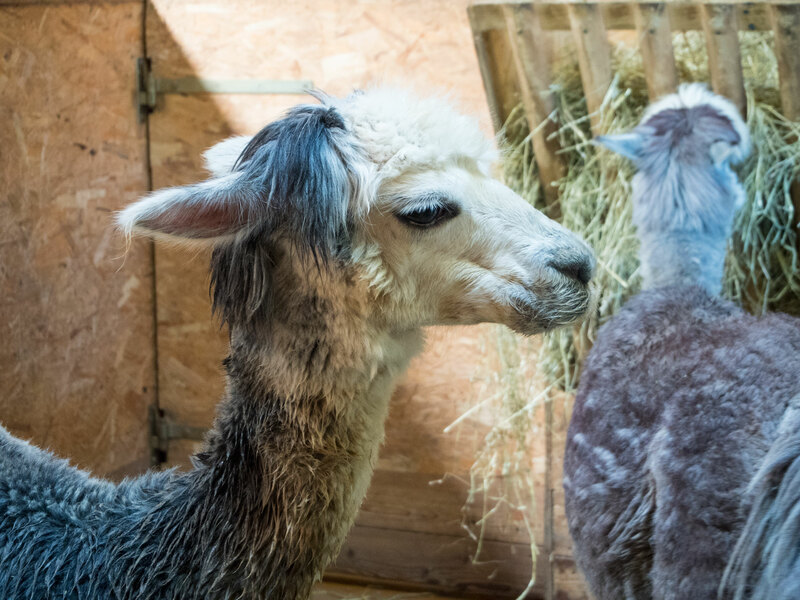 One of the unexpected but great things we did was to visit Salzburg Zoo. 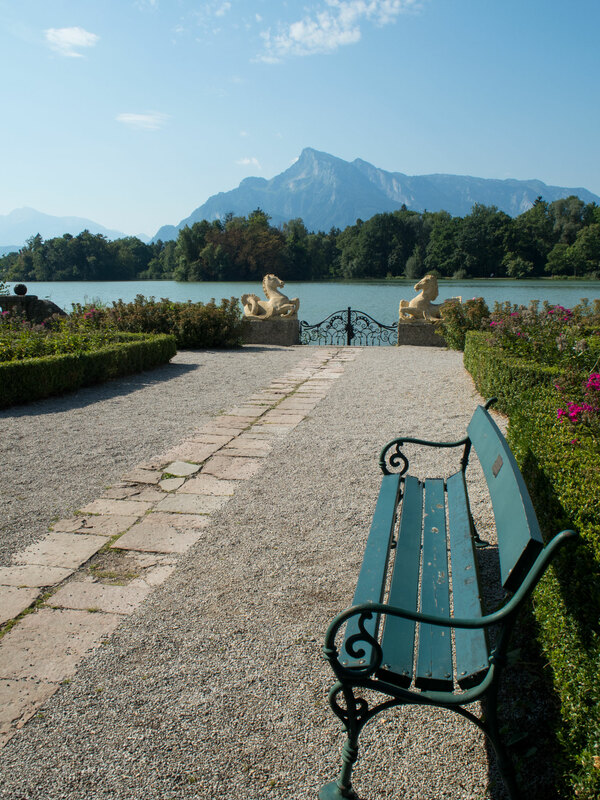 We only visited because it was included on the Salzburg Card and was on the bus route back from the cable car. But if you know me, or have watched/read my blog or YouTube before, you will know my love for zoos, and this one was a surprisingly good one. It looked quite small so I wasn’t really expecting much, but to my surprise they had a wide range of animals, a lovely setting, and even late evening opening hours in August. 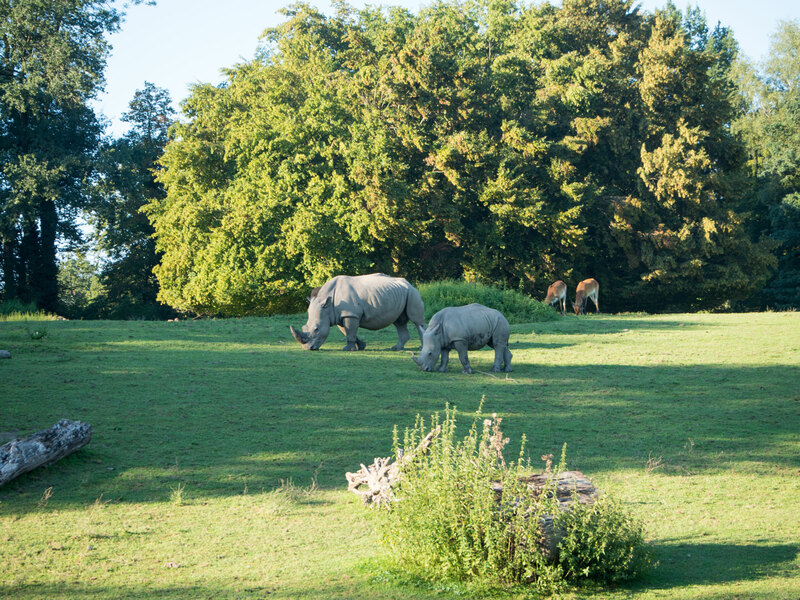 I also spotted five rhinos which I don’t think I’ve ever seen at once. Two thumbs up from me! When it came to eating, we didn’t really sample that much of the cuisine because my mum has a gluten intolerance and we couldn’t easily find anywhere that catered for her, especially with the local food. Instead, we did a lot of sampling of the local ice cream. Safe to say, Salzburg does well in the dessert department. 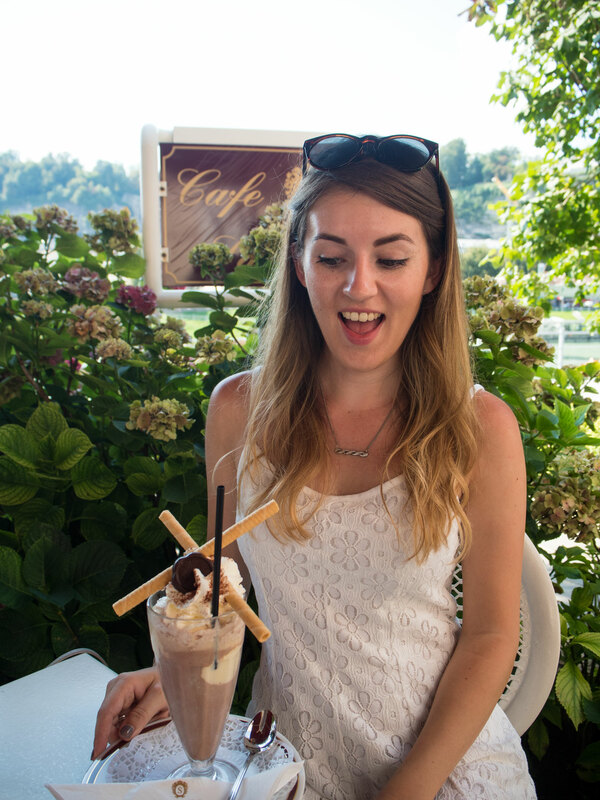 There’s a corker of a nutella ice cream on the main shopping street, a delicious ice cream stall on the Kapitelplatz, and the Sacher Cafe on the banks of the Salzach river is an absolute must. They’re famous for Sacher Torte chocolate cake, but in such hot temperatures I opted for a Sacher Chocolate Sundae instead. It was a dream. Make a stop here if you can, even if it’s just for a coffee, the setting and the drinks are just perfect. We also stumbled on a craft market on the banks of the Salzach on our final day (Sunday). I don’t know if this is a regular occurrence but it was so interesting to see all the local craftsmanship and have a stroll in the shade in such an incredible setting. One more thing I forgot to mention because I don’t have any photos of it is the Marionette Theatre. An absolute Salzburg institution and unusual way to spend an evening. I think most performances are only subtitled in English, but The Sound of Music is fully in English. We managed to get tickets to a showing of The Sound of Music (much to my mum’s delight), and it was such an unexpected highlight of the trip. Who thought a puppet show would be such a great way to spend your night?! Congratulations if you’ve made it to the end of this post, I know it’s been a long’un! 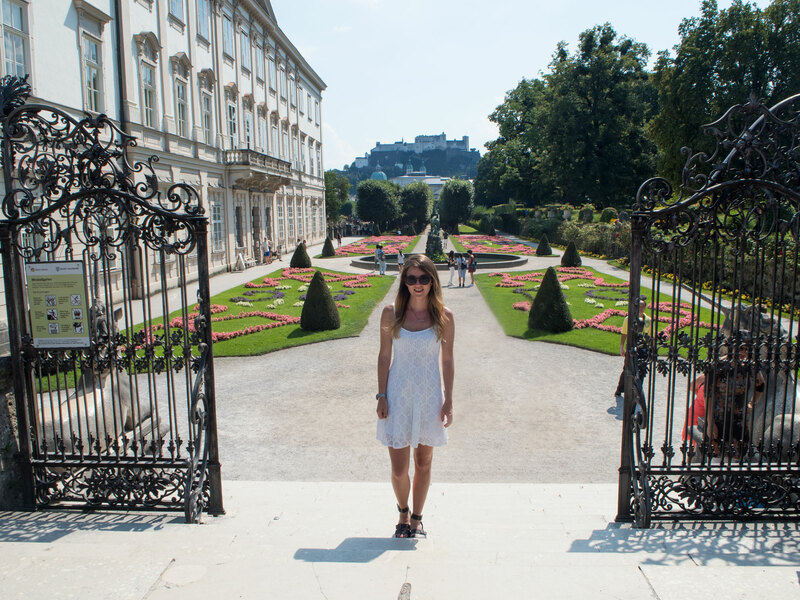 I thoroughly enjoyed our trip to Salzburg and although I wouldn’t normally think of it as a long weekend destination if it wasn’t for the Sound of Music I would definitely revisit and recommend visiting even if you’re not a fan of the film. It’s a beautiful town with the most beautiful charm that has most certainly stolen my heart! 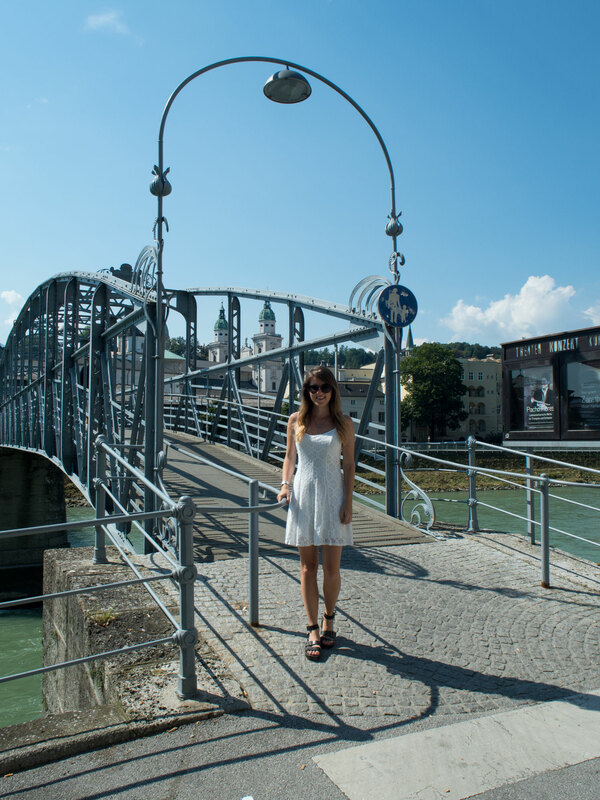 Have you ever been to Salzburg?